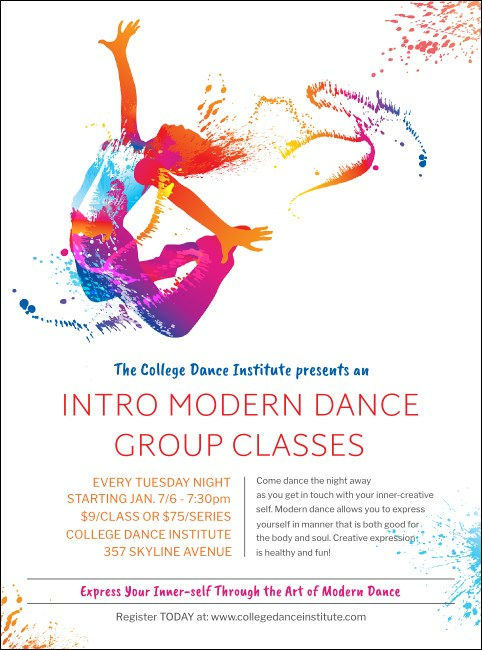 Make a vivid impression when you use the Modern Dance White Flyer. Topped with a brilliant rainbow illustration of a dancer mid-jump, this stunning template showcases your gathering’s information in colorful, contemporary fonts. Great for performances, recitals, dance classes and retreats. Approximate measurements are 11.66" by 8.69"
Make the leap to great event marketing with TicketPrinting.com!